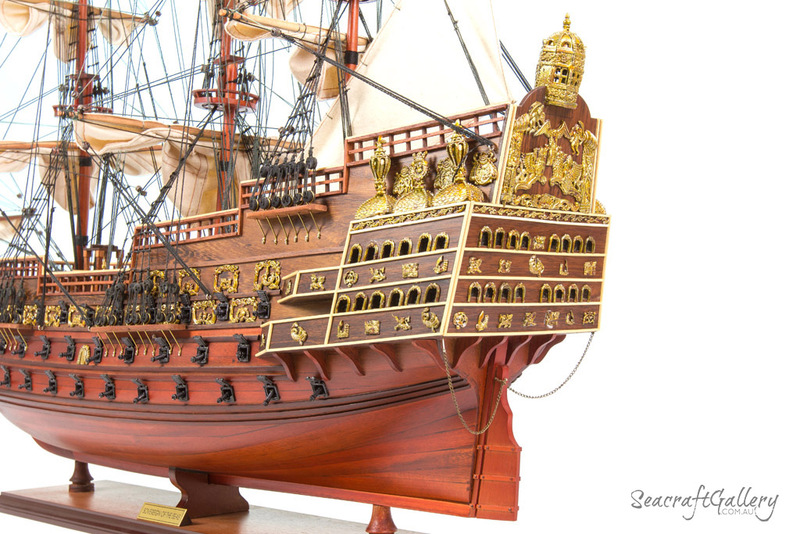 Sovereign of the Seas was built as a prestige warship after a meeting in 1634 at Woolwich Dockyard between King Charles I and the Master Shipwright, Phineas Pett. 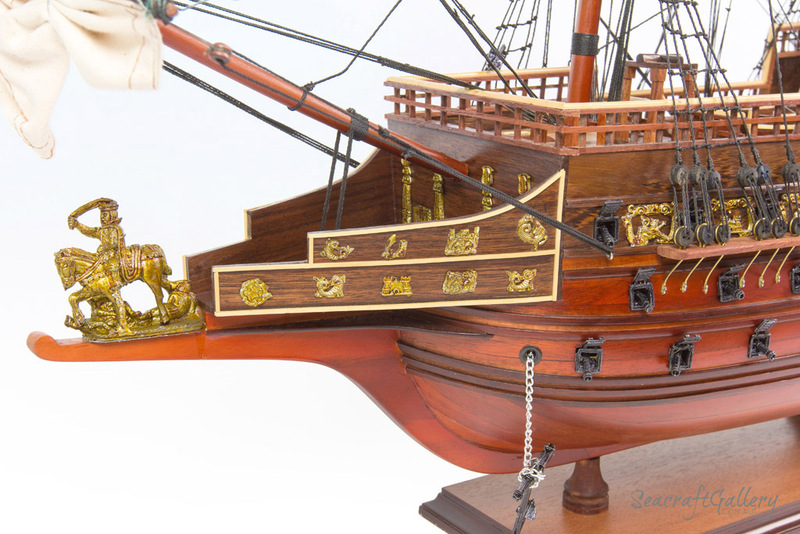 As the name might imply, the HMS Sovereign of the Seas was instrumental to the development of the Royal Navy. 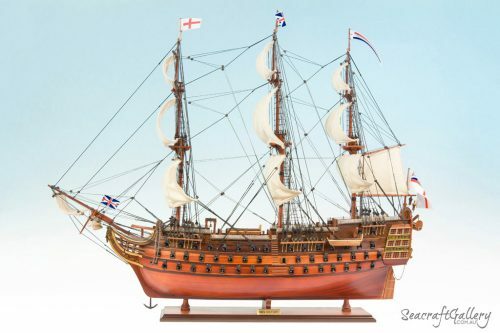 Designed as a means of improving the strength of the English crown, this is one of the most aesthetically pleasing ships of the 1600s. Her carvings and decorations were designed by Sir Anthony van Dyke and finished in real gift rather than paint. 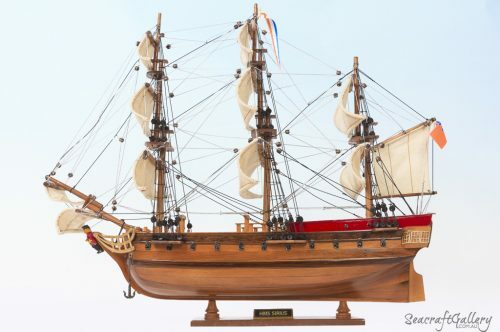 This ship model makes an ultimate choice for you to include in your collection, a true testament of the once-unrivalled Royal Navy. 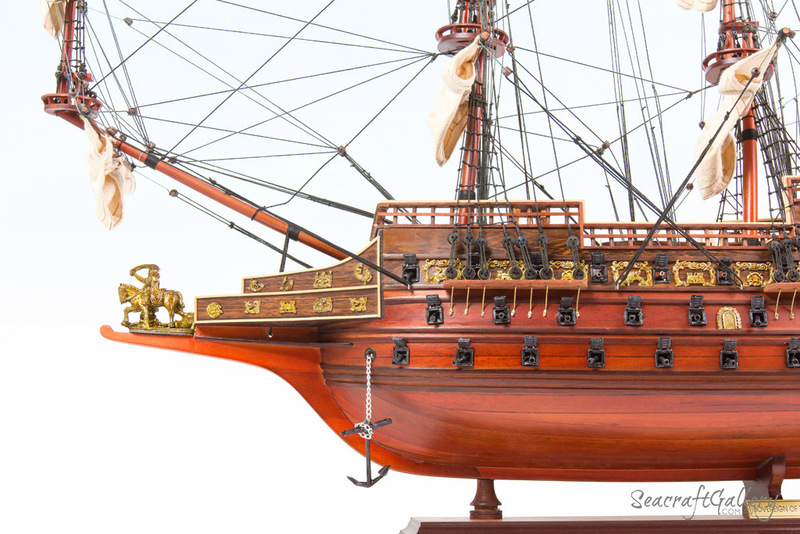 Designed at 1:41 scale, it’s one of our most beloved model ships for sale. 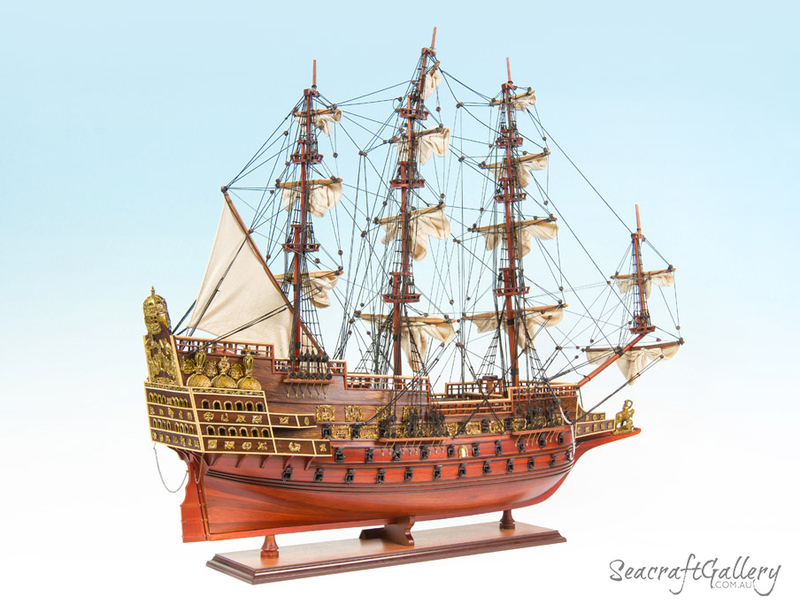 It would be ideal way to display this magnificent model ship in our designed ship cabinets. Immersive 95 x 20 x 76cm size, delivering the best finish and scale. 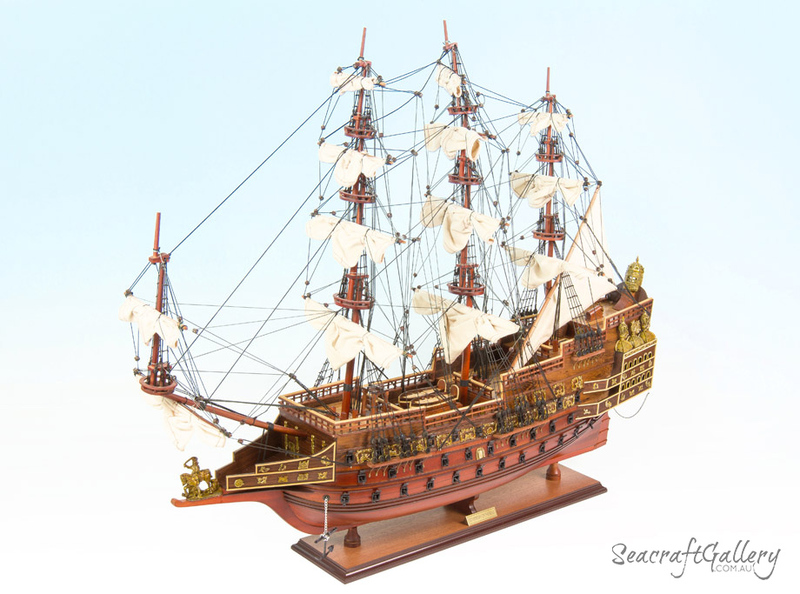 The Sovereign of the Seas model ship is also available in smaller size 75cm. 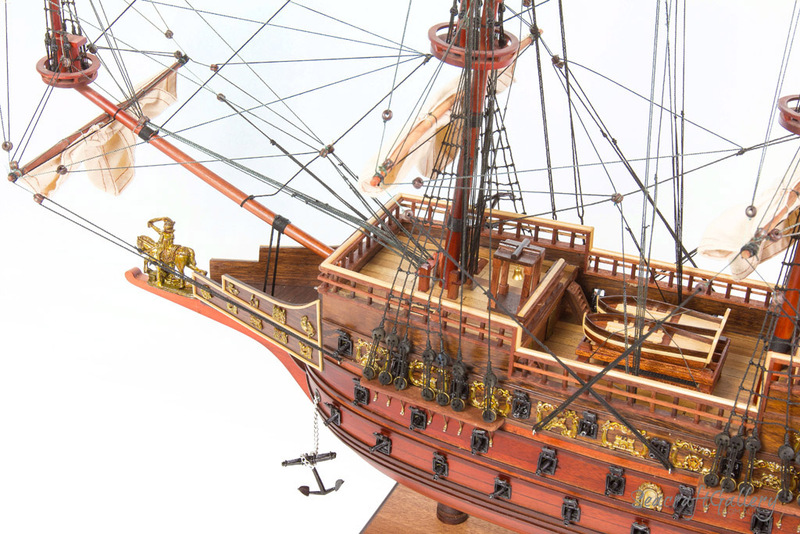 One of our most in-scale model ships, with a 1:41 scale used for the best attention to detail. 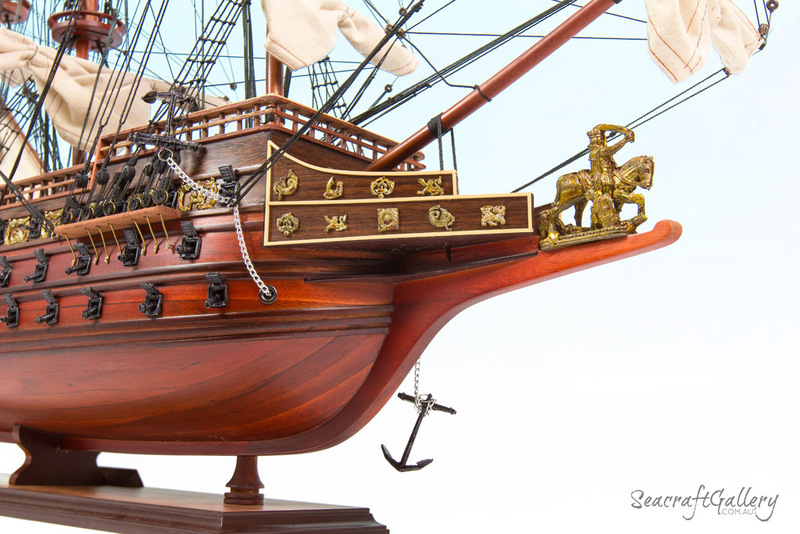 Designed with utmost attention to detail paid on all parts of the ship, using best source materials. 100% handcrafted, with every wooden rivet and piece used hand-cut for detail. 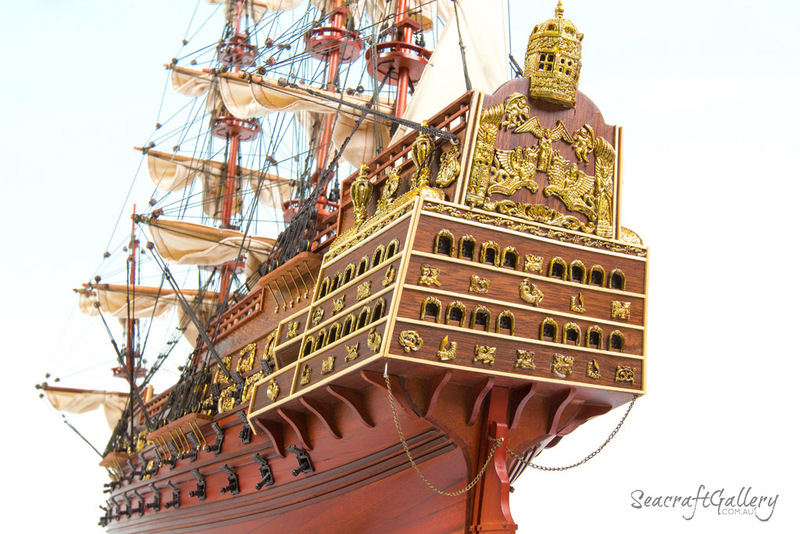 No plastic used – only wood and metals on things like gun ports, cannons and muskets. High impressive lattice grates, rubber chains and wooden ladders are included. Realistic additions including new wooden lifeboats included on the deck alongside other features. 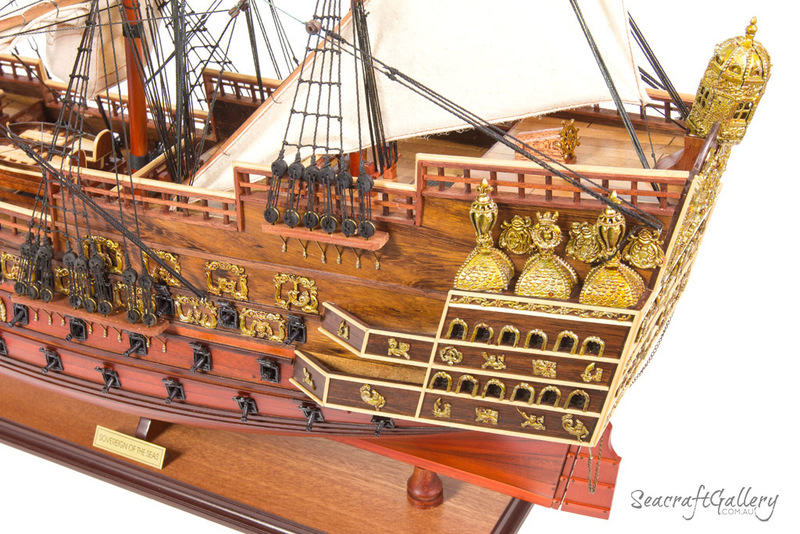 Detailed copper beak-head is included to help make your Sovereign of the Seas ship model stand out. 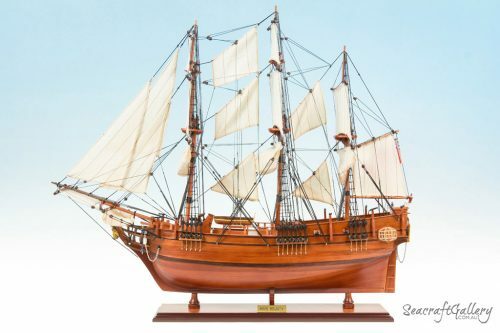 Ship model is made using a solid wooden base, with a name plate included as well for viewing. 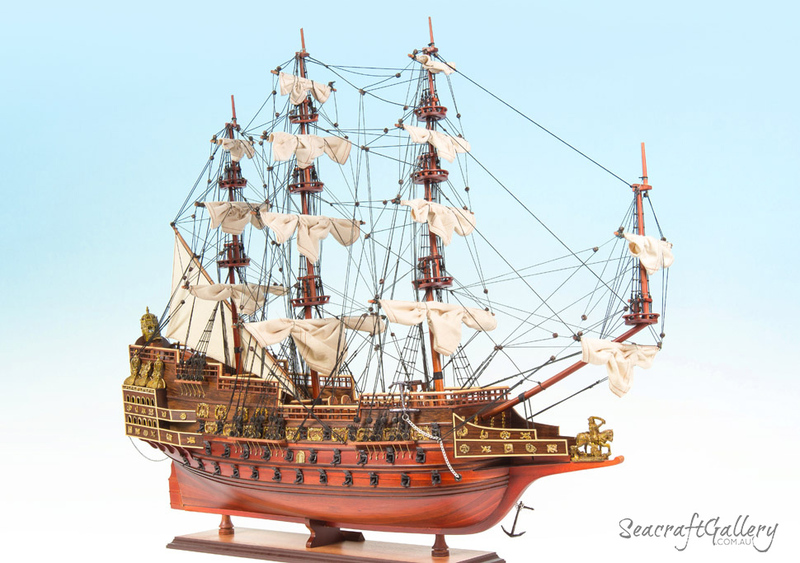 Fact sheet included to help you tell people all about the Sovereign of the Seas. As one of the most important ships of its time, the HMS Sovereign of the Seas is of immense historical importance. 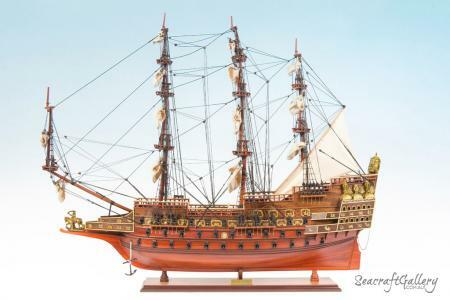 She was built as a prestige warship after a meeting in 1634 at Woolwich Dockyard between King Charles I and the Master Shipwright, Phineas Pett. It first launched out from Woolwich in 1637, and since then she was about to make a major mark on the world of naval transport. 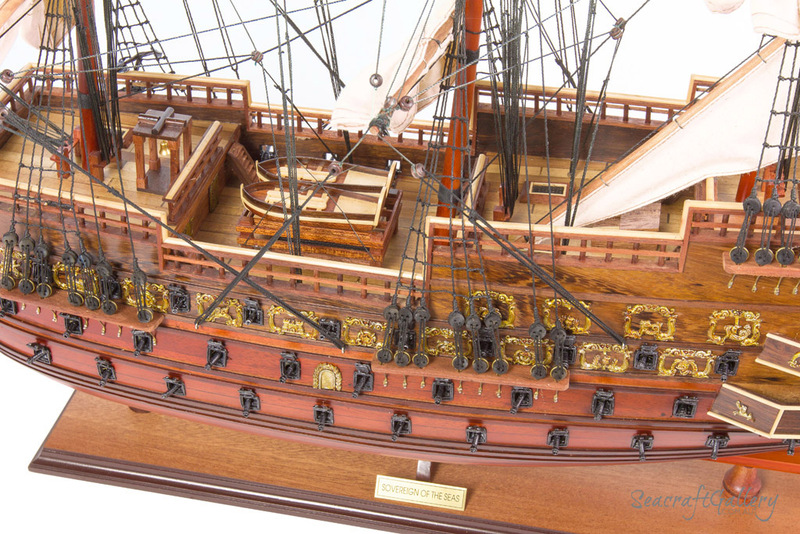 The ship itself was the predecessor to Nelson’s Victory, and was a major part of the navy at the time. The fact she was just the second three-decked first-rate ship to be built, too, made her even more important to naval development. Indeed, she was part of the innovation that eventually led to an entire ship deck alone just for firepower to be stored. 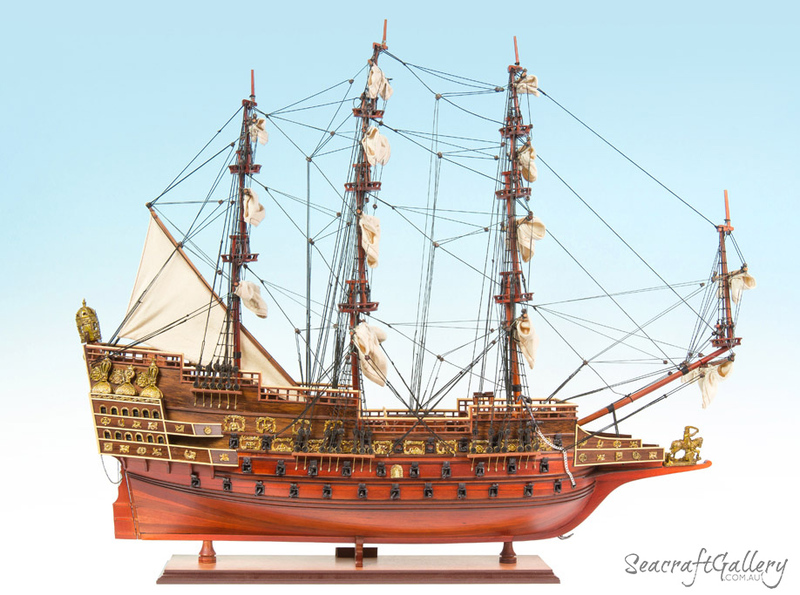 In terms of achievement, the Sovereign of the Seas is one of the most decorated ships of its – or any – era. It was though, not without consequence: the £65,000+ needed to build it eventually led to the start of the English Civil War. 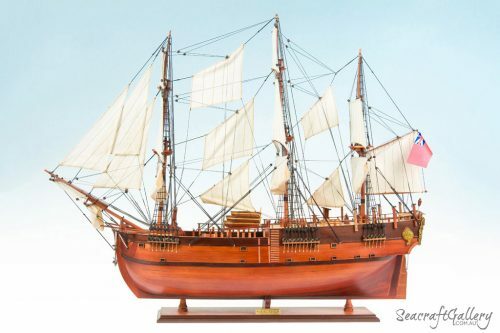 With over 100 bronze cannons aboard, though, the ship was very much worth the investment from a military perspective. She was the single most powerful ship on the seas at the time of its development, and served as one of its most weighted ships also. Indeed, she was one of the heaviest in the world, until the Prince Royal came along. For many, though, the impressive nature of the Sovereign of the Seas means that, for many, it was spoken about in truly hushed tones.